Thousands enjoy the food after praying. 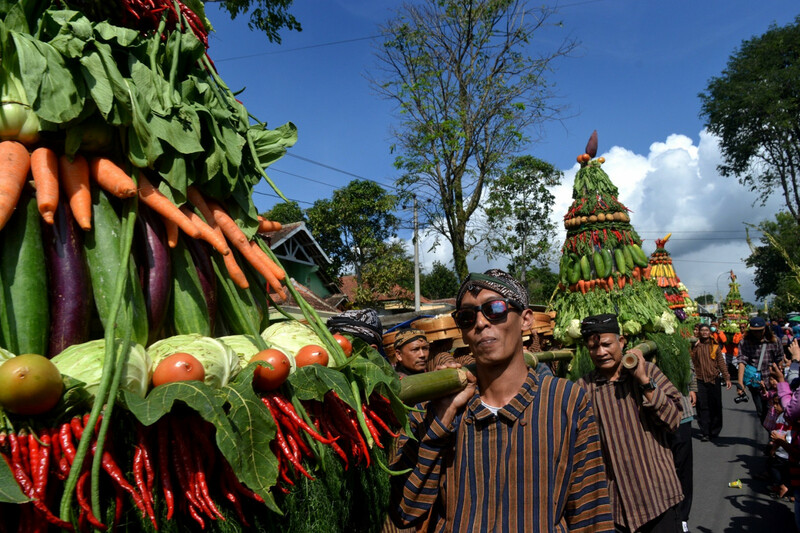 The seven gunungan of harvested food and seven gunungan of Cepogo's signature dishes are paraded at the festival. The Surakarta Palace's bregodo guards take part in the parade. Tenong brought by participants are filled with snacks and fruits. 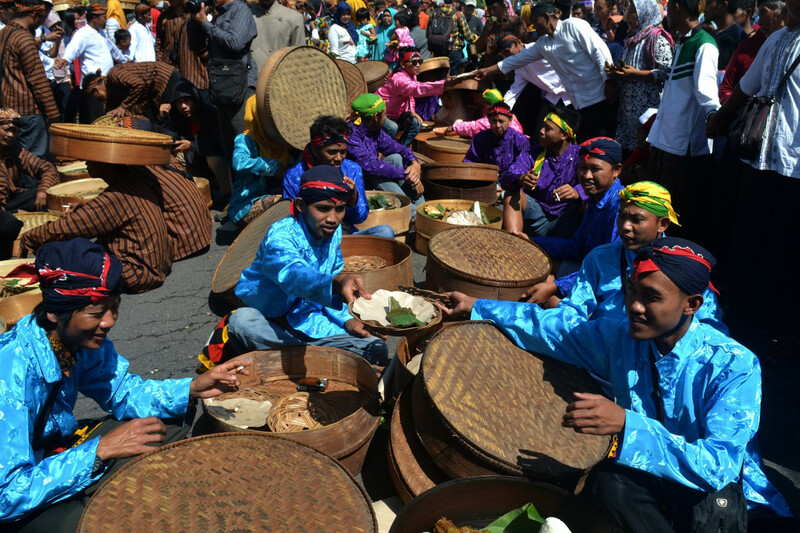 Thousands of people from 15 villages in Cepogo district, Boyolali, Central Java, took part in Grebeg Nyadran, a traditional thanksgiving festival on Sunday along Jl. Cepogo-Ampel, which lies between the Merapi and Merbabu mountains. 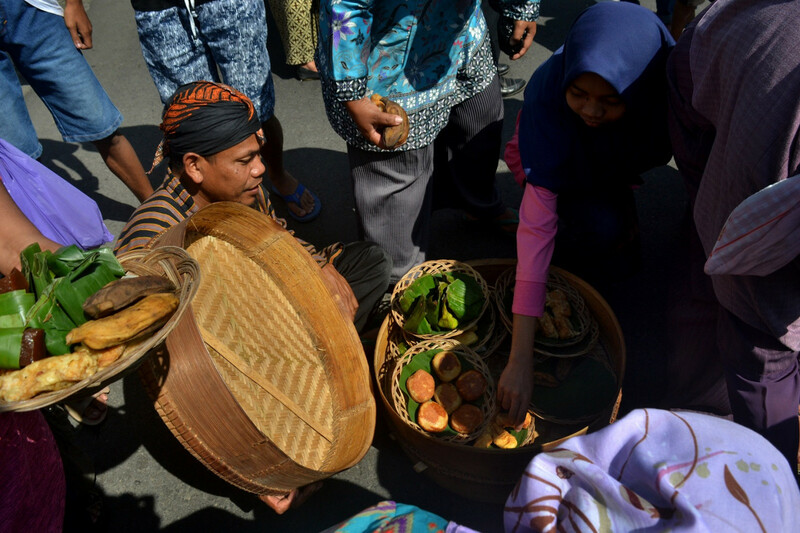 The festival is the opening event of the Nyadran ceremony that will be held at the village's cemetery from April 18 to 30 to commemorate the approaching Ramadhan. The Grebeg Nyadran festival started in the morning with the locals carrying tenong (traditional food container made from woven bamboo sheets) filled with food. There were 315 tenong, 45 giant tumpeng (rice cones) and 14 gunungan (fruit and vegetables or traditional snacks arranged in the shape of a mountain) paraded around the Cepogo district office. 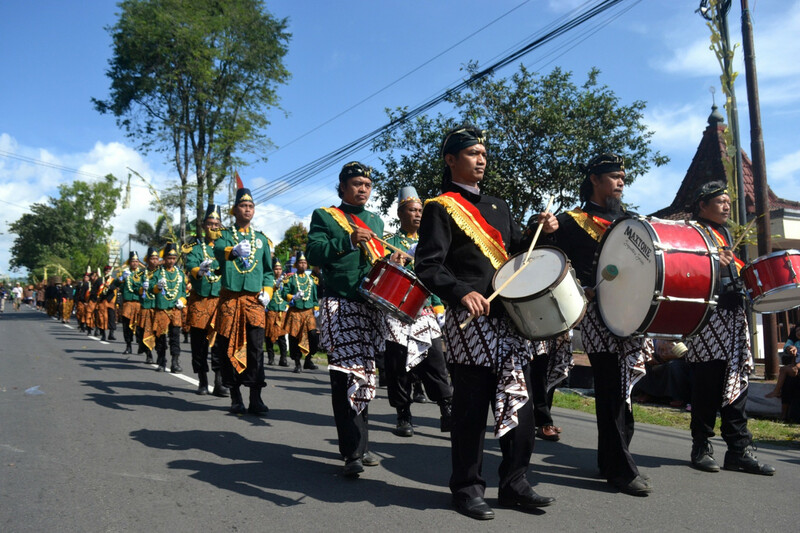 The parade was guarded by the bregodo personnel from the Surakarta Palace. At the Cepogo district office, the Grebeg Nyadran parade was welcomed by Santi Swara-Laras Madya music that was played with gamelan combined with Islamic prayers. Afterward, a traditional dance was staged to entertain the participants and visitors of the festival. After a series of prayers, the participants opened the tenong and turned the streets in Cepogo into a feasting arena. The contents of the tenong was consumed by everyone. 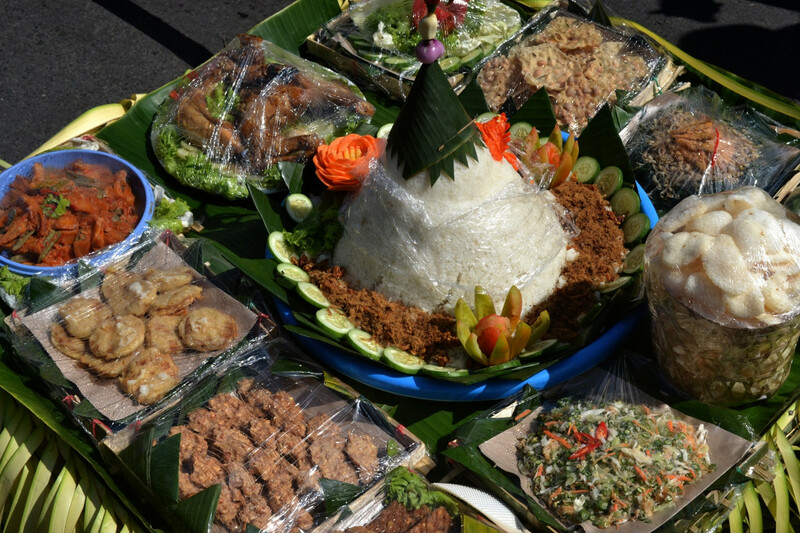 The food in the tenong consisted of traditional snacks made from glutinous rice such as jadah (white sticky rice with coconut), wajik (sticky rice mixed with palm sugar), rengginang (sticky rice crackers) and tape ketan (fermented sticky rice). The visitors also ate from the tumpeng rice mountain, which was accompanied by urap sayur (green vegetables with shredded coconut) and ayam ingkung (whole chicken). The dishes are a symbol of gratefulness for this year's good crop and livestock harvest. “The Nyadran ceremony always brings joy and togetherness in our villages. All families visit each other and share food with people outside the village,” said Aminudin, a resident of Cepogo. The Nyadran ceremony, also known as Sadranan, is a syncretism of the Sraddha ritual that has been held since the era of the Majapahit Kingdom.